The first photo book by the Nasa astronaut Scott Kelly, who spent a record-breaking Year in Space. This is an awe-inspiring collection of the photos Scott took himself while on board the International Space Station, many of which have never been seen before. Scott Kelly has seen the world in ways most of us never will. During his record-breaking 340 consecutive days on board the ISS, Scott Kelly circled the earth 5,440 times, witnessing 10,944 sunrises and sunsets – that’s 16 a day. In all this time, he posted just 713 photos on Instagram. But it’s not all sunrises, sunsets and #nofilter. 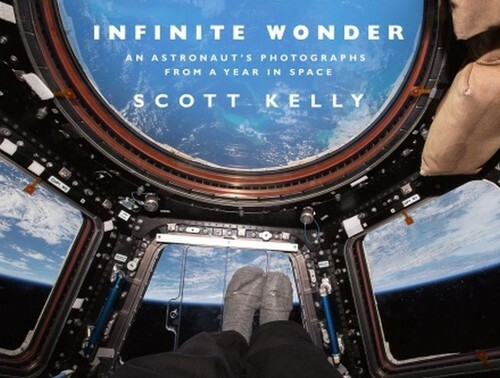 Through the photos Kelly took during his time in space, we can learn to see the world in a new way and we are afforded a glimpse into a life that most of us will never encounter but of which many of us dream. This book will show you what it’s really like to be a Nasa astronaut.